Queen guitarist Dr Brian May and Rick Wakemen are to appear at this year's Starmus festival. The event, which takes place between June 27 and July 2 in Tenerife and La Palma in the Canary Islands, Spain, combines science and music, and will feature appearances from 11 Nobel Prize laureates alongside well-known scientists and speakers including Stephen Hawking, Neil deGrasse Tyson, Roger Penrose, Brian Cox and Richard Dawkins. The keynote speech at the festival will be delivered by Brian Eno, on the subject "At the Crossroads of Art and Science", while music will be provided by Hans Zimmer, Brian May, Sarah Brightman, the Symphonic Orchestra of Tenerife Anathema and others. Rick Wakeman and Commander Chris Hadfield — whose version of David Bowie's Space Oddity, filmed on board the International Space Station, has been watched over 30 million times on YouTube — will play Bowie songs. "Starmus III invites, in this unique event, science experts and amateurs alike, along with the merely curious to plunge into the important threats and discoveries the world is facing at present," says astrophysicist Garik Israelian, founder of the festival. 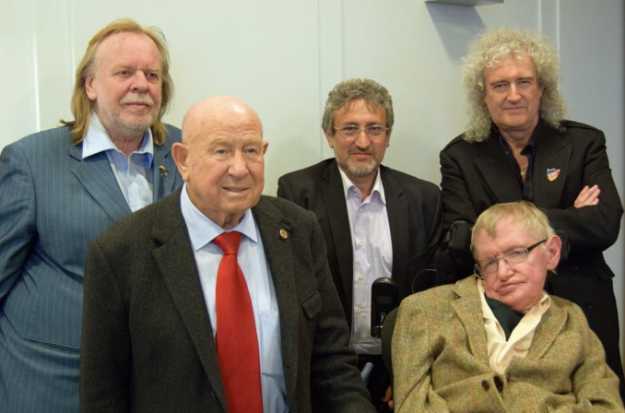 For more about Starmus, visit the festival website. Tickets are on sale now.